Amiko Digital Health Limited (Amiko), a company that develops advanced medication sensor technologies and AI-powered digital health tools, announced today that the company has received CE Mark for use of the Respiro platform with Teva's Spiromax® inhaler, Chiesi's Nexthaler® inhaler and GlaxoSmithKline's Ellipta® inhaler. “Respiro’s medication sensors capture data on true adherence behaviour, which better reflects real-life patient inhaler use, as compared to traditional measures of adherence” said Dr. Job FM van Boven, assistant professor of Drug Utilization Research at the University Medical Center Groningen, The Netherlands. “This information can help us better understand the effectiveness of an inhaled drug therapy, and support the development of personalized and cost-effective interventions promoting adherence and correct inhaler technique”. 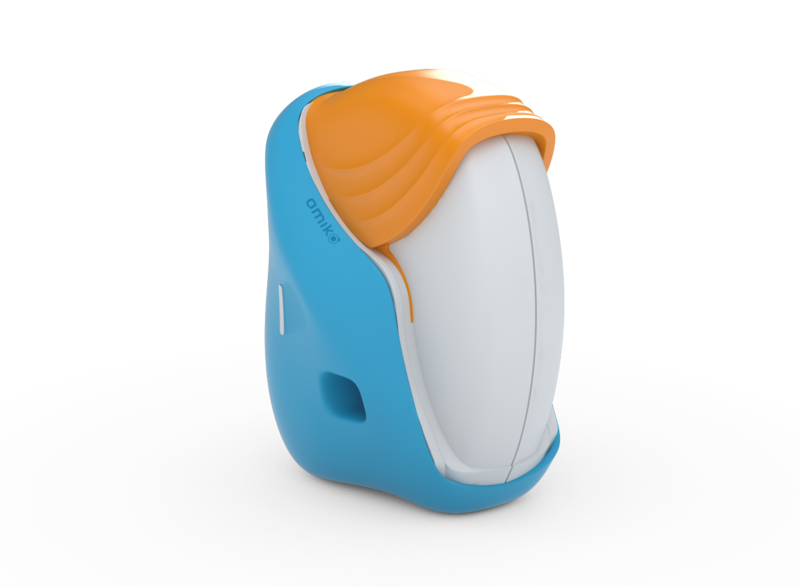 Respiro offers advanced inhaler sensors and connected health tools, enabling real-time monitoring of medication use and patient health. At the core of the platform: Respiro Sense, the technology that powers the world’s most advanced inhaler sensors. Combined with inhalers for asthma, COPD and CF, the sensors automatically capture data on the patient’s inhalation profiles to monitor when and how well patients use their medication. CE marking is the medical device manufacturer’s claim that a product meets the essential requirements of all relevant European Medical Device Directives. The directives outline the safety and performance requirements for medical devices in the European Union. The CE Mark is a legal requirement to place a device on the market in the EU. The CE mark shows that Amiko has complied with The European Medical Device Directive 93/42/EEC regarding medical devices. "Receiving the CE Mark is a significant milestone toward the global commercialization of our connected inhaler technology. By successfully completing this process, Amiko has demonstrated that Respiro complies with applicable EU’s health and safety legislative requirements and it can now offer the technology for clinical and commercial use to healthcare providers and research institutions in the EU” commented Federica Iovine, Director of Regulatory Affairs at Amiko. In addition to receiving the CE Mark, Amiko has also received ISO 13485:2016 certification, an international standard governing the requirements of a quality-management system for medical devices and related services. With its ISO 13485:2016 Certification and CE Mark, Amiko is expected to begin the commercialization of Respiro into Europe this year. Founded in 2014, Amiko has headquarters in central London and ISO 13485:2016 certified laboratories in Milan. Today, Amiko serves commercial, institutional, and individual customers in Italy, Germany, France, Portugal, Spain, UK and the Netherlands, and is growing to become a global provider of advanced therapeutics data and digital disease management services, empowering patients, healthcare professionals, and payers to realize a shared vision of a digital health enabled future.